The latest and most iconic pendant to join the Metro Series is the Flow Pendant. Its a unique custom made LED pendant created to your own design to meet all architectural environments. The lamp housing is produced of rolled aluminium offering overall reduced weight. Colours: White, black and grey powder coated finish. 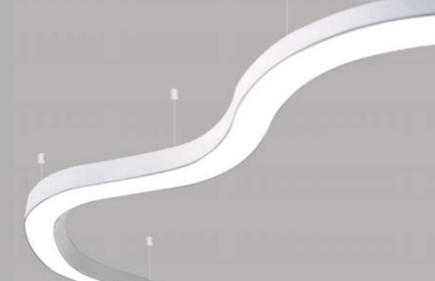 Area of use: Decorative flow pendant for all ambient and/or general lighting.